How do you use Hashtags on Instagram correctly? One of the most effective ways to attract followers and increase the visibility of your business is the use of hashtags on your various social media platforms and one of the platforms most businesses use to achieve the most visibility in recent time is Instagram. 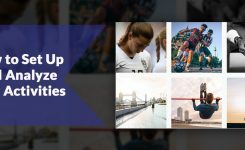 This is because Instagram allows you to share images and video contents using related hashtags to gain visibility and link with companies and people that may be interested in what you do. The challenge, however, is that not everyone knows how to use the hashtags correctly on Instagram. 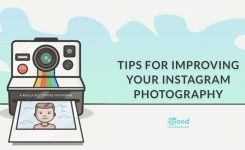 If you don’t know how to use the hashtags correctly, it may be difficult for you to get the desired results with Instagram. If this applies to you and you’re willing to learn ways to make effective use of hashtags in your contents, reading this post will give you an insight into what they are and how you can use them correctly on Instagram. A hashtag is a label (letters, numbers and/or emojis) attached to a content that makes it easy to group the content along with other contents having a similar tag. They help to organized content for the social network. This makes it easy to find such content among related content on the internet when the hashtag/label is used. Hashtags are written together (without spaces), starting with the sign (#). So, when someone clicks on a particular hashtag, they can see the various publications that have been tagged by it. Generic hashtags like #Love, #life, or #InstaDaily, may generate many followers to your account who only “comment” or “like” your content to get reciprocal gesture, but such followers may not be interested a bit in the content. This won’t give you the desired result. Instead, you should use a specific hashtag that is related to your target audience who will be interested in your brand or content. Where ever you operate, online or offline, it is practically correct always to include hashtags that are specific to your location in your Instagram content. Doing this will help you to attract loyal followers who are interested in your content. This strategy works best for locally managed small businesses looking for ways to dominate their neighborhood. Be flexible with your hashtags. Always investigate on a regular basis what your followers are paying attention to. Try out different hashtags to find out the one that generates more interactions. 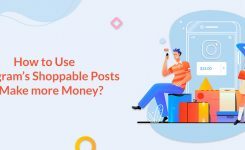 This will help you to generate the hashtags that will attract more Instagram users who may be interested in your content. The correct way to use your hashtags on Instagram is to insert them before you press the Publish or Share button. Creating hashtags after you have published your content will only limit its potential to appear in different searches. So, always list your hashtags and insert them before publishing your content.